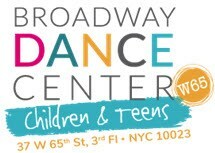 Welcome and thank you for choosing Broadway Dance Center's Children and Teens at West 65th Street! Please fill in all fields and then click "Submit Registration Information" to complete registration. Your primary card on file will be charged for the first month of tuition or your total tuition (if you select that option). *Please allow up to two days for us to process your initial payment. Additional Fees: Costume fees and the Showcase fee are due 12/1/18 for those students enrolled in 32-week classes. The last day to add or drop a semester class is 10/19/2018 (No refunds will be issued after this date). If dropping, please submit written notification to w65info@bwydance.com. If no notification is given, you will be responsible for the following month's tuition. I agree to all the policies and guidelines of the BDC Children & Teens. For the entire list of policies and guidelines please visit our website and review the info for Children & Teens W65. Summer/ Winter/Spring Break Camps: A non-refundable $150 deposit (per camp week) is required upon registration along with the remainder of camp fee. There are no credits or refunds for missed classes. ; We do not offer make up classes. School's Out Camps: full camp tuition is due upon registration. Students who have registered and paid in full may withdraw up to 2 weeks prior to camp start date for a refund less $50. No refunds will be given after this date. who withdraw between the 2-week deadline and the camp start date may request an account credit which can be used toward a future summer camp or class tuition. There are no credits or refunds for missed classes. ; We do not offer make up classes.